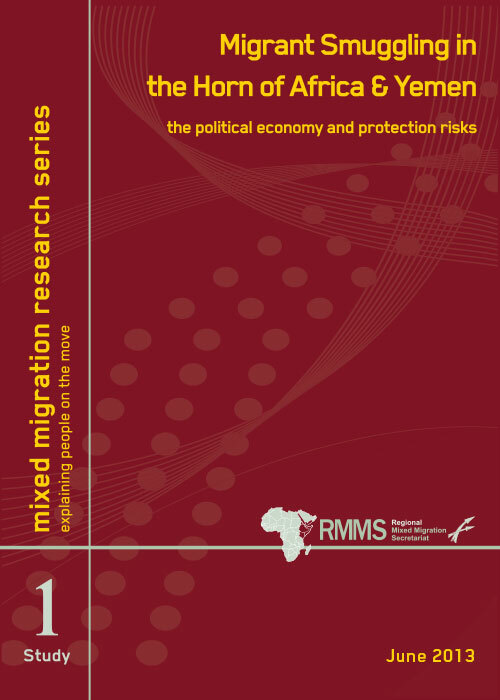 This publication, the first in a new series of studies by the RMMS on specific mixed migration issues, focuses on migrant smuggling in the Horn of Africa and Yemen. Globally, migration and mobility are important survival and poverty reduction strategies for a large and growing number of people. This is no different in the Horn of Africa and Yemen, a poor, environmentally fragile and conflict-prone region that has generated a heavy flow of mixed migration in recent years. In ‘mixed migration’, different groups of migrants may travel with or alongside each other, using the same routes and means of transport but with different motivations and objectives. The term is relatively new and encompasses groups of refugees, asylum seekers, economic migrants, Internally Displaced People, stateless persons on the move and trafficked persons. The ‘status’ (regular, irregular) of people on the move often changes and adapts over the course of a journey, leading to increased difficulties in classification. In this report the term migrant is often used to include all those in the mixed migration flows, even if they include refugees and asylum seekers.